Taurus heads on a ranger? I have a 1997 Ranger with the 3.0L and I am registering only 20 psi compression in cylinder 5. When I bought the truck it had a major lower intake leak so it idled about 2200 rpms. Not sure how long it ran like that for but I am guessing long enough to possibly fry the valves. My question to all you gurus is will the heads from a Taurus (or Mercury Sable) 3.0L swap over to a Ranger without modification? 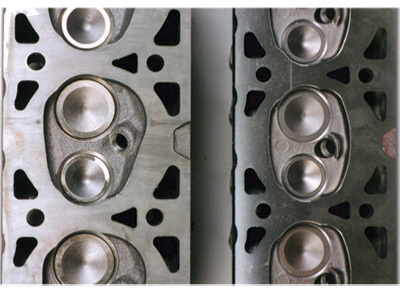 I have read that the head gaskets are different but can't find anything about the heads themselves. Last edited by RonD; 01-17-2019 at 11:10 AM. RonD, thanks for the informative reply. I have the pushrod motor, is that the Vulvan motor you are referring to? Last edited by RonD; 01-17-2019 at 11:57 AM. Thanks again for the info. That really opens up my options next time I'm in the junkyard. Ranger OHC in a Taurus? Quick Reply: Taurus heads on a ranger?